Five-year-old Emily Shepherd of Espanola is fitted for her back brace featuring stars and her cat Mojo. Photos provided by Jennifer Shepherd. 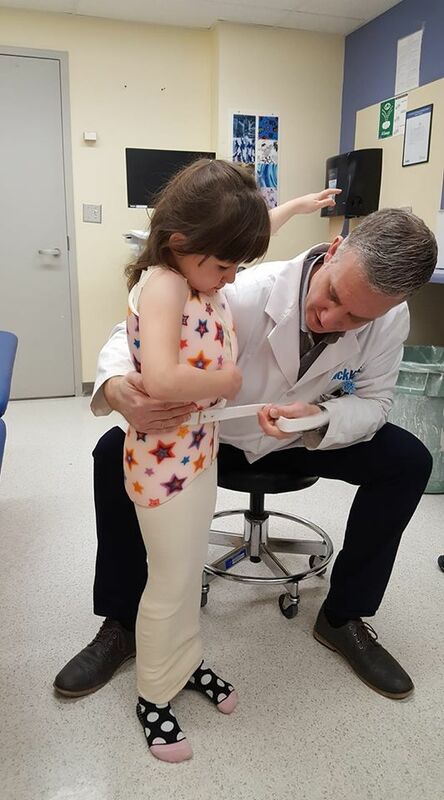 Thanks to the generosity of the public, an Espanola youngster is now learning how to function in a special back brace designed just for her. 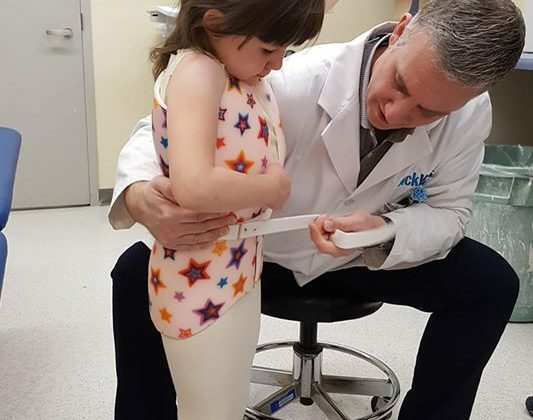 Five-year-old Emily Shepherd was fitted for her brace for her scoliosis, an abnormal curvature of the spine at Toronto Sick Kids last week. Her mother, Jennifer, says the designers even printed a photo of her cat Mojo on the back and covered it with stars, at Emily’s request. Jennifer adds Emily has started on a schedule, wearing the brace around six hours a day and gradually working up to wearing it at least 22 hours a day.